The week of Feb. 11–16, thousands of developers descended on San Francisco for the annual DeveloperWeek conference and festival. The event was kicked off over the weekend with a hackathon sponsored by many industry leaders and innovators. Unlike previous years, there were multiple challenges put forth by each sponsor and multiple winners. We caught up with one such sponsor, Perfecto Mobile, to discuss what challenge the company put forth and learn about what was created and why it chose the winners. In the challenge, developers were given the freedom to use any coding language or frameworks they chose, as long as the project could be easily integrated with other tools and languages. The company claims it wanted to provide something unique to developers that would encourage them to create value for each other. Team HarT, consisting of Siddhant Sanyam and Chakshu Ahuja, won Perfecto’s challenge. Not only did they meet the requirements set forth by the company, but they took the concept one step further by creating a platform in which people share and collaborate about HAR file analysis. The tool enables users to write algorithms in GiST, like recipes to perform any kind of analysis on performance, security, coding practices and more. Breaking a three-way tie, the Perfecto team chose HarT’s project first and foremost because they thought outside the box when addressing the challenge. Rather than simply building an analysis engine, Sanyam and Ahuja built an ecosystem of algorithms that other people could contribute to. From a business perspective, the team was also chosen because they considered the social and community aspects of the challenge, not just technical value. Overall, Perfecto was extremely impressed by the team’s approach to help others. For developers, the challenge creates the opportunity to show how cross-functional thinking — such as coding, product and market impact — improves the impact individuals in a team have on a broad community. Further, HarT and other top contenders produced useful tools that everyone from web developers to nontechnical people might use to gain insight on how to improve their web and mobile apps. 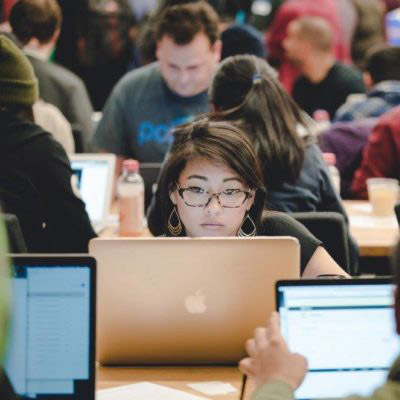 In the end, more than 600 hackers participated in the DeveloperWeek Hackathon, with sponsored challenges from nearly 30 vendors, making this the largest event of its kind in the industry. Though Perfecto Mobile did ultimately choose one winner, the company claims that all participants came up with some very interesting and valuable technology — which, after all, is the idea of these events.